With deep sorrow, the Confederation announces that the Honorary President Mr. Achille Ferrero, born in 1933, left us in the early hours of Friday, January 25th. His death leaves a great emptiness in the world of sport and in particular of the underwater sports that have had in his figure, humanly passionate and sportingly competent, a great reference point. 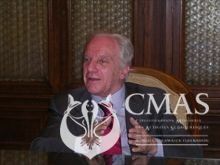 Ferrero has been president of CMAS for 20 years, from 1993 to 2013, a record that no President has until now equaled within the Confederation. 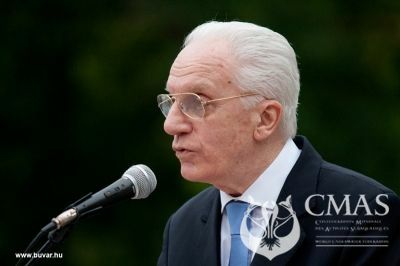 As a matter of fact, he was elected for the first time in 1993 during the General Assembly held in Nicosia, and has been reconfirmed over the years. 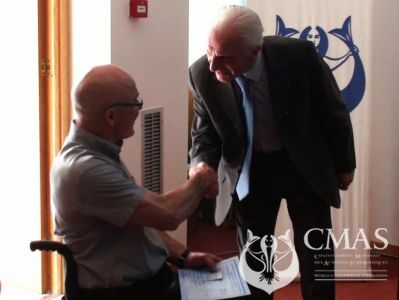 Genoa - Nervi (ITA) – He became CMAs 3-star instructor. Rome (ITA) – Under his leadership, the club was recognized as a “Federal School”. 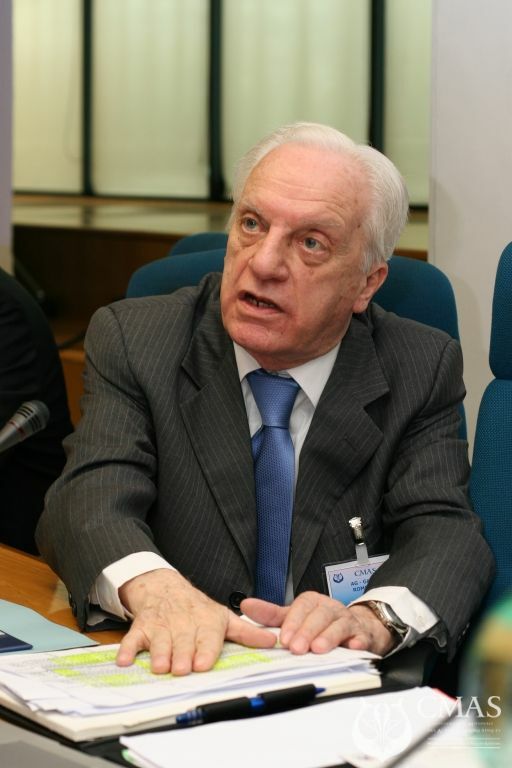 Rome (ITA) – He contributed to drafting the new Bylaws of FIPS which recognized the new sectors of Underwater Activities, and Fin-swimming / Orienteering. Rome (ITA) – He was elected President of the new Department Fin-swimming and Orienteering of FIPS. 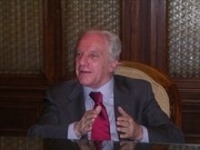 Rome (ITA) – He became member of the Board of Directors of FIPS. 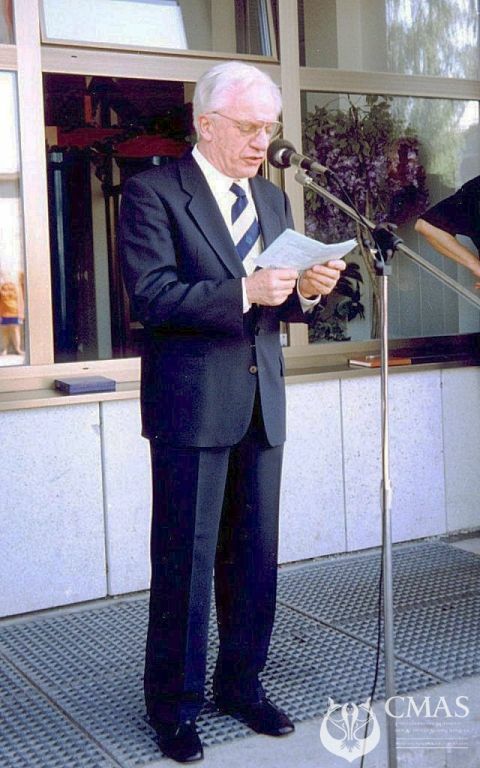 Orta - Novara (ITA) – He was the Chair of the Organizing Committee of the 1st National Technical Conference on Fin-swimming. 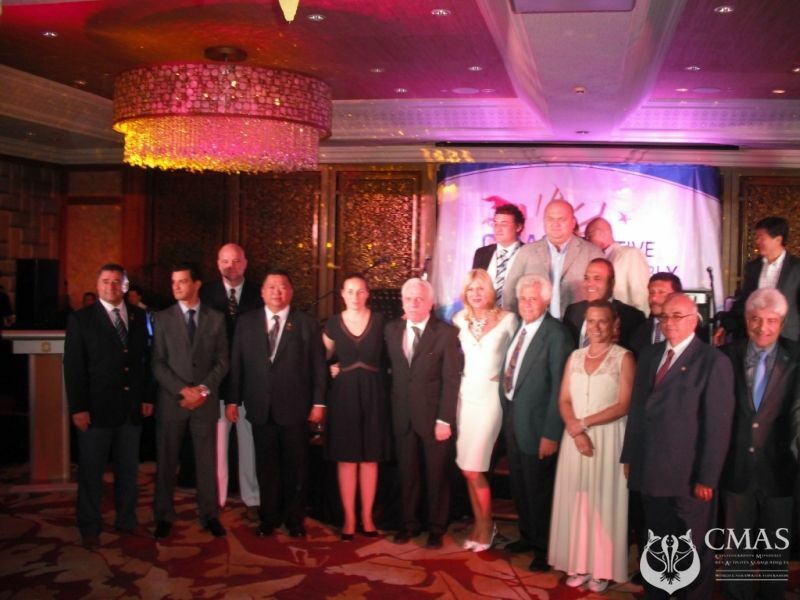 He was elected member of Fin-swimming International Commission. 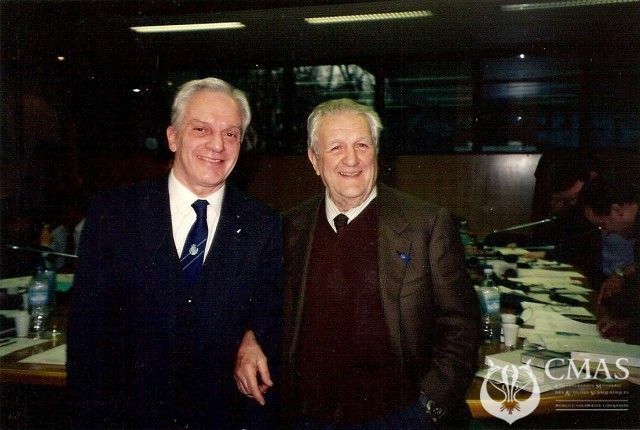 Verona (ITA) – He was the Chair of the Organizing Committee of the 1st International Technical Conference on Fin-swimming: Features and Issues of Fin-swimming in the Developmental Age. Rome (ITA) – He was awarded the Silver Star for Sport Merits of the Italian National Olympic Committee “For the services rendered to Italian Sport”. Verona (ITA) – He was the Chair of the 2nd International Technical Conference on Fin-swimming: Fin-swimming and Performance, Theory and Practice. 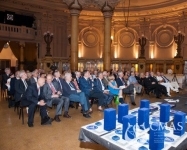 Pisa (ITA) – He was the Chair of the Organizing Committee of the 3rd International Technical Conference on Fin-swimming: The Competition Specialisation in Fin-swimming. 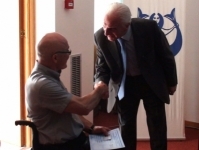 Rome (ITA) – He was the Chair of the Organizing Committee of Fin-swimming World Championships. 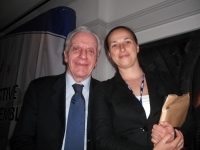 Venice (ITA) – He was the Chair of the Organizing Committee of the 4th International Technical Conference on Fin-swimming. Rome (ITA) – He was awarded the Golden Star for Sports Merits of the Italian National Olympic Committee “For the services rendered to Italian Sport”. Rome (ITA) – He was awarded the prize “écusson d’or du Comité Sportif de la C.M.AS. Rome (ITA) – He drafted the first text of the “Procedures and obligations for the organisation of C.M.A.S. Championships”. 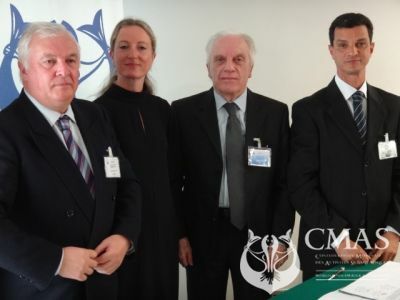 He was elected President of the World Underwater Federation (C.M.A.S.) Confédération Mondiale des Activités Subaquatiques. 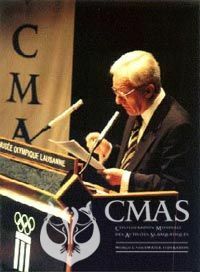 Lausanne (SUI) – He was awarded the “Médaille du Centenaire” by the IOC “for the services rendered to the Olympic movement”. He was re-elected President of the World Underwater Federation. 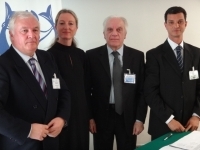 Bari (ITA) – He chaired the Organizing Committee of the Fin-swimming gala event on the occasion of the Mediterranean Games. 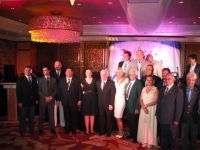 Aqaba (JOR) – He promoted and participated in establishing CMAS Arab zone. Paris (FRA) – He was awarded the Golden Medal of the Minister of Youth and Sports of the French Republic to “Acknowledge the excellent services rendered to Sport within the framework of underwater activities and his commitment to raising awareness on the protection of the marine environment at international level”. Pavia (ITA) – He was awarded the prize “Citizens of Pavia Worldwide”, by the Chamber of Industry, Agriculture and Craftsmanship. Rome (ITA) – He promoted the establishment of “CMAS Games” for all the sports of the Confederation. 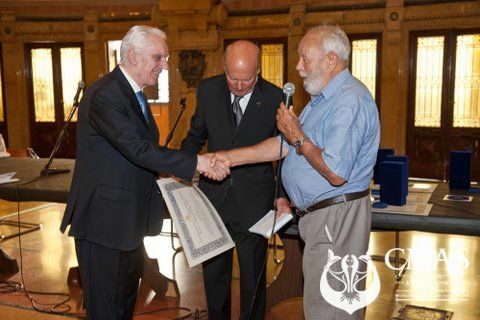 Iquique (CHI) – He was awarded the honorary citizenship of the town of Iquique” (Chile) for supporting and developing Spearfishing. 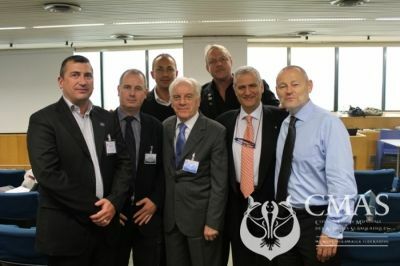 Lisbon (POR) – In collaboration with CIPS, he promoted the introduction of Spearfishing in the “Sea Games”. Also important was his contribution to the candidacy of fin-swimming at the Olympic Games held in Athens in 2004, unfortunately without a positive outcome. 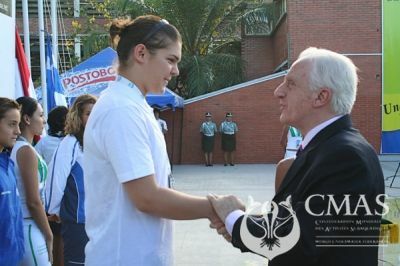 We hope that one day this dream of seeing the inclusion of one of CMAS sports disciplines, to which he held a lot, can come true. We also owe to him the signature of the treaty with UNESCO in the scientific field, for a continuous and close collaboration in this field. He has been a guide for the whole confederation and will remain in the memory of all of us. 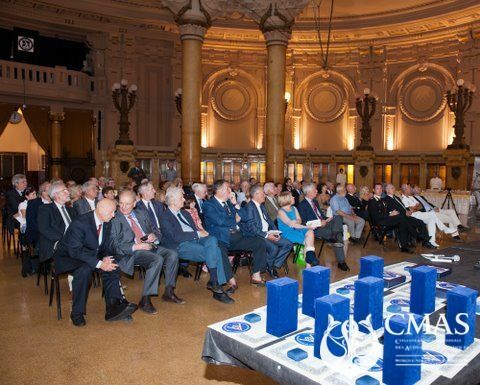 CMAS joins his family in their mourning.